Our family has an interesting history surrounding this classic - assuming it can be called a classic - piece of children's literature. I distinctly remember watching the Gene Wilder movie version as a child only to have my mother turn it off in disgust. As I recall, she didn't like the way that the children visiting the chocolate factory were behaving. And so I never watched the movie or read the book. In Jonathan's case, he watched the Gene Wilder version as a child and was scared spitless. The Oompa Loompas were apparently too much. With these combined negative experiences I wasn't quite sure that reading the book would be a success but . . . it was! 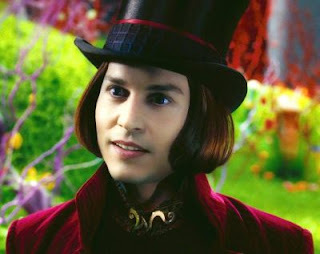 Mr. Wonka is a world-famous chocolatier who owns an impressive and rather mysterious candy factory. However, Mr. Wonka has had some issues with hiring people from other candy businesses who were working undercover. These "spies" sttole his candy-making secrets and so he was forced to shut down his factory for a time. Then, without notice, the factory began operating again but no one understood how this could be as no workers were ever seen going in and none coming out. It is shortly announced that Mr. Wonka is going to hide five golden tickets inside five random chocolate bars. The five children who find these golden tickets will be invited in for a tour of the factory on an appointed day. The world goes wild looking for these tickets which are eventually found (of course). Five children enter the factory to see the magical world which Mr. Wonka has created but that no eye has ever seen. Only one child will make it through this tour without mishap and that child will be the new owner of the chocolate factory. I found the story to be hilarious, personally. Dahl gives us an interesting cast of characters in this book. Four of the children who find golden tickets are the most obnoxious and disobedient that you would ever want to not meet. (It is true! The children do behave badly!) However, their bad behavior is made known in a clear and decisive writing style. Dahl minces no words when it comes to his opinion of these four. Then there is young Charlie who comes from a poor family and is a very humble soul. He and his aged grandpa go to visit the factory and, as is predictable, make it through without any disaster befalling him and becomes the new owner of the factory. The reader can only be delighted. Dahl is a quirky writer and I can see how I misunderstood him previously as well as how he could be misunderstood generally. In fact, I think he's so quirky and odd that I reserve the right not to like any of his other titles! For now I like this one in its entirety. 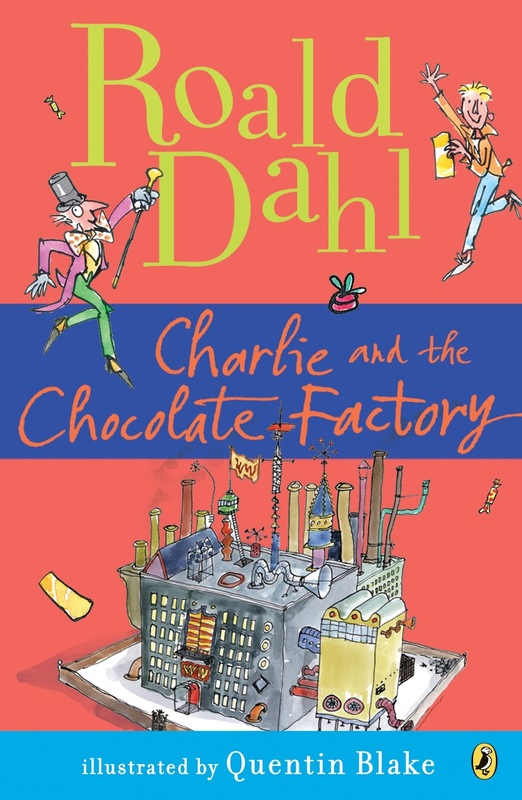 I believe I shall still be picky of Dahl titles in general even though I like Charlie. Dahl is not a style that I generally appreciate but in this instance he really made the idea of why good behavior is appealing (in a generic sense) understood very well. My children absolutely LOVED this book. No two ways about it. I read it with them in three days. We breezed through it with laughter, curiosity and the constant refrain of, "Read the next chapter!!" This book was an all-around winner and we recommend it for a good time. After reading the book, I naturally wanted to see the movie. So did (do) my children. Jonathan and I watched the new Johnny Depp movie but I have to honestly tell you that I was less than impressed. In the book, Mr. Wonka is a confident man who knows he has great talent and had little time to waste with, well, nincompoops. In the Depp movie version, Mr. Wonka is insecure about himself and frequently goes off into this reveries in which he mulls over his less-than-satisfying relationship with his own father. I disliked Depp's insecurities because they are nowhere present in the book. That rather soured the movie experience for me. I was going to watch the Wilder version but I showed Bookworm1 the back of the case and he recoiled a bit from the pictures. So I'm thinking that we did the right thing by reading the book (first!!!) wherein our imaginations can work appropriately in bringing Dahl's characters to life. We probably will watch the Wilder version but we'll take our own sweet time in getting to it. We've listened to Charlie and the Chocolate Factory and loved it. Haven't seen the Depp movie version but remember enjoying the Wilder version as a kid. We just listened to the sequel, Charlie and the Great Glass Elevator while on a road trip and enjoyed that one as well. Dahl in general is quirky, that is very true. I tend to like his snark and subversiveness, but it may be an acquired taste. I do find the book better than either movie version, although the scene with the train and the bubbles is best on film. I remember my oldest loving Charlie and the Glass Elevator, but I don't remember whether he read Charlie and the Chocolate Factory. I'm pretty sure I never read it but now I am wishing I had read it to my kids. I liked the Wilder version - it was very clear that the bad kids were bad and nobody (except maybe their blind, permissive parents) approved of their behavior. There was one scene with all four grandparents in bed that was kind of weird. I wasn't crazy about the Depp version. We tried watching Dahl's James and the Giant Peach but just couldn't get into it. I don't know if the book is any better. I've never read any of the books but you are making me want to read this one. Depp is quirky himself so combine it with the quirkiness of Dahl and there you have it. This book has been a favourite of mine since I was young; so much so my parents had to take it from my sleeping hands late at night (and I'd wake up saying, 'I was reading that.' hehhe... my Dad found it very funny. I've also watched the Wilder version of the movie and then attempted to watch the Depp version; but never liked the remake; and never made it through the first 20 minutes of it. The older version was a lot more fun, enjoyable and I never worried about the Oompa-Loompas to much as I owned the illustrated edition of the book and they looked exactly the same as they did in the book. So, seeing them on the screen never worried me. I read Matilda a month or two ago, and liked it, overall. For Burton to be so drawn to Dahl, I was a little disappointed he wasn't *more* quirky. I'm holding out hopes his other books are more quirky. He does have a fun, humorous style of writing that I like, though. I love Roahld Dahl's books. But, yes, his humor is definitely a little dark! His books are all classics in my view. Though I do remember trying to read him as a very young child and just not "getting it". But then at age I was scared of the child catcher in Chitty Chitty Bang Bang!